We are now at the halfway point in the with the Knights of Cademus one shot and hopefully the rest of the comic will be finished in November. So I thought this was a good moment to give you a reminder of just who the Knights of Cademus are with some new full colour panels from James Evans. Those with any kind of military training who join the Book of Cademus usually find themselves singled out to be trained as Knights of Cademus. Descended from Sir Oliver’s Cademus’ personal army this is the strong-arm of the cult and their most dangerous weapon. 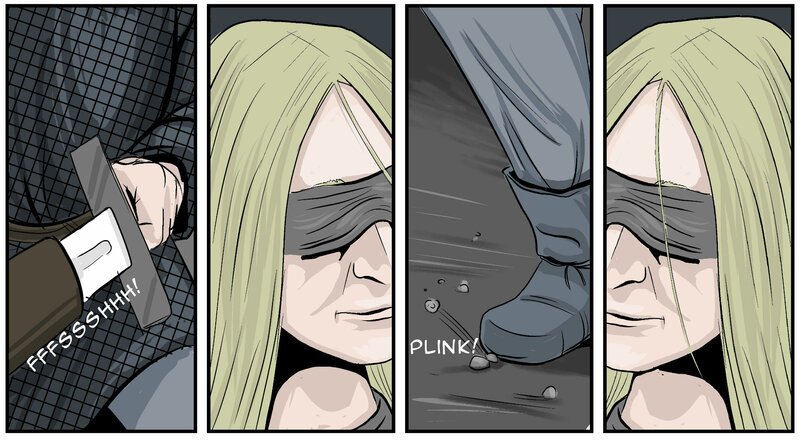 Kidnapping, torture and murder are all in a day’s work for a Knight of Cademus. Their blind loyalty and faith to the Cabal is only matched by their ruthlessness towards those who would oppose the will of the Cabal. 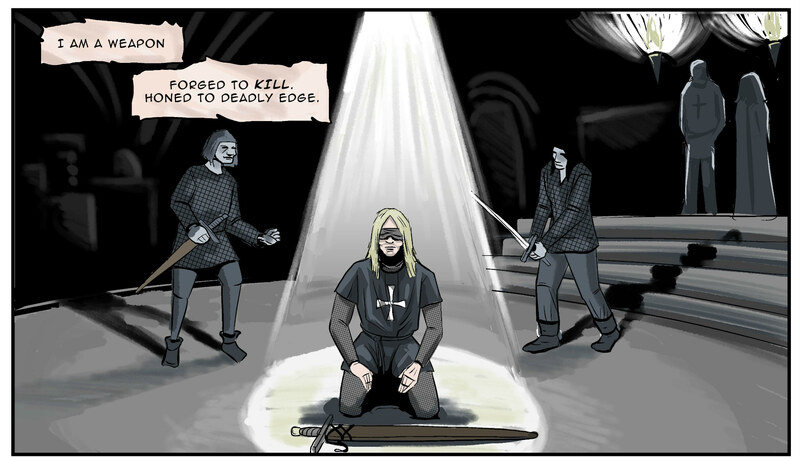 Death holds know fear for a Knight of Cademus, who will willingly sacrifice themselves if the mission calls for it. The Knights of Cademus by Virgil Yendell, James Evans and Paul Mclaren will be released digitally in the new year and will be one of the stories in the third Unseen Shadows anthology…more details of which coming soon.